Workers from Poland, Romania and other eastern and central European countries earn the lowest wages of all immigrant groups, according to new research from national statistics office CBS. 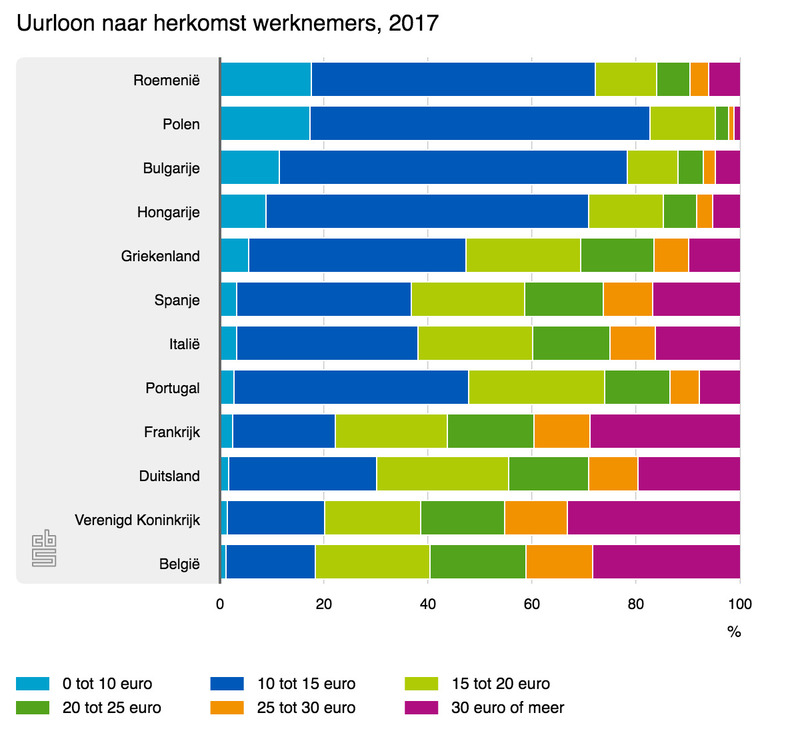 Some 80% of the 180,000 Polish nationals working in the Netherlands earn less than €15 per hour and 18% of them earn less than €10, the CBS said. Workers from central and eastern Europe tend to work in the agricultural and food-processing sectors, which are traditionally low wage. In total, 838,000 ‘foreigner’ workers are employed in the Netherlands, of whom half come from EU countries. Some 180,000 come from Poland. Germany is the next biggest group, with 46,000 jobs, followed by Belgium – over 28,000 jobs. Other CBS figures also published on Thursday and which date from 2016, show 60% of foreign workers in the Netherlands have left the country again after six years. Around 10% last less than a year in the Netherlands. European Union nationals are most likely to stay in the Netherlands.